"If I could have only pet"
I love penguins so much! Of course if I could have any pet, I’d choose penguin at first. They move in a very cute way and they also look cute. I’d be very happy when they are in the living room when I return from work. But, they need a big pool and a cold room. It’s difficult to live with penguins and maybe they don’t want to live with humans. They feel happy when they are in the sea with freedom. I also like cats. I didn’t like cats before. But I had been living with my sister two years ago. She has a black cat. He is called “Zigen” (It’s the name of a famous animation character from “Lupin the Third”.) He is capricious and cool, but when he feels lonely, he comes to my knee. I fell in love with him. Then, I started to love cats very much. Animals can heal us. I don’t have any pets now, but I want to live with cats someday. And if I can become very rich, I will build a big house. 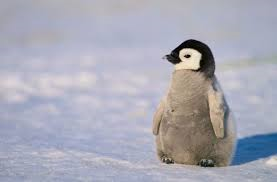 I would like to live with penguins! Your essay is clear and even though there are grammar mistakes, the reader never gets confused. Having penguins as pets is a great choice! Have you ever seen “Mr. Popper’s Penguins”? By the way, I have cats so I exactly know what you mean. They sense people’s emotions and heal them. If you ever get that rich, please call me so we can play with penguins and watch “Lupin the Third” together!